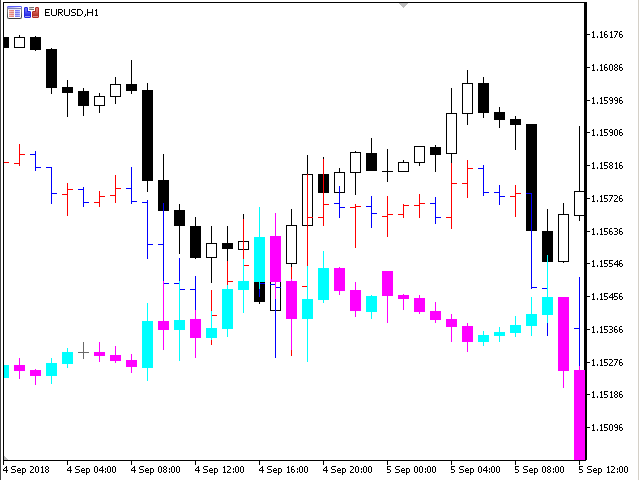 All types of overlaying chart on chart, in one indicator. 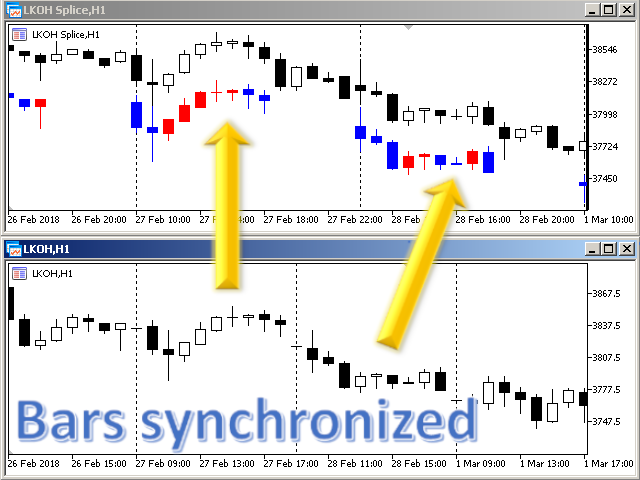 This is a demo version of the "Overlay Ultimate" indicator. In this version there is no possibility to select a symbol for display. 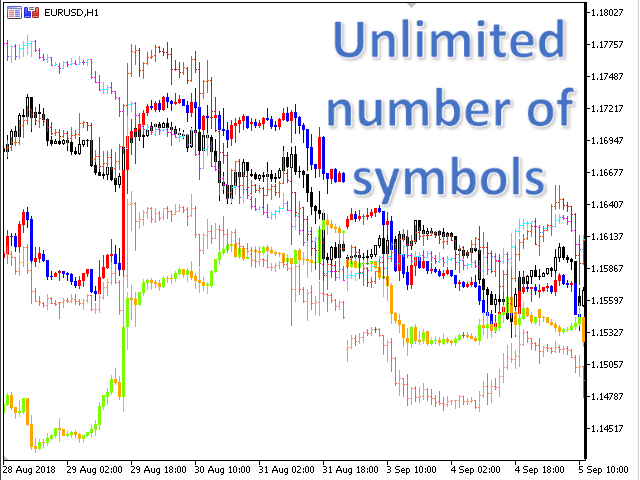 The symbol "EURUSD" is always shown. Easy to use. Add to the chart and enter the name of the symbol you want to see. 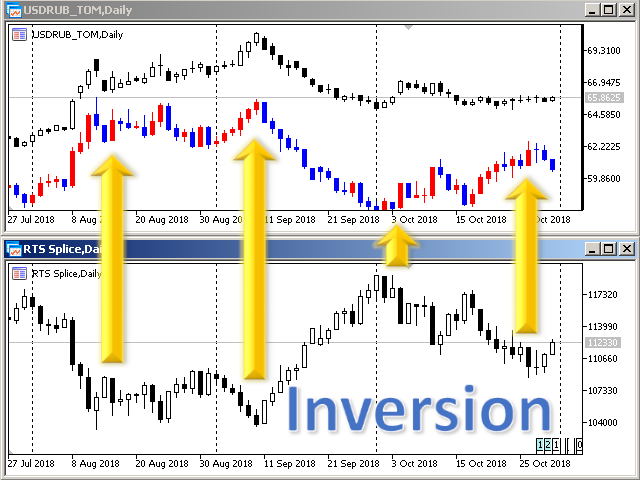 Add indicator several times to see several different symbols on the same chart. Each added symbol is configured separately. The bars of the added symbol are synchronized with the chart. At the places where the added symbol did not have bars, an empty bars can be added (switches by parameter). At the place where one bar on the chart corresponds to several bars of the added symbol this bars can combine into one (switches by parameter). 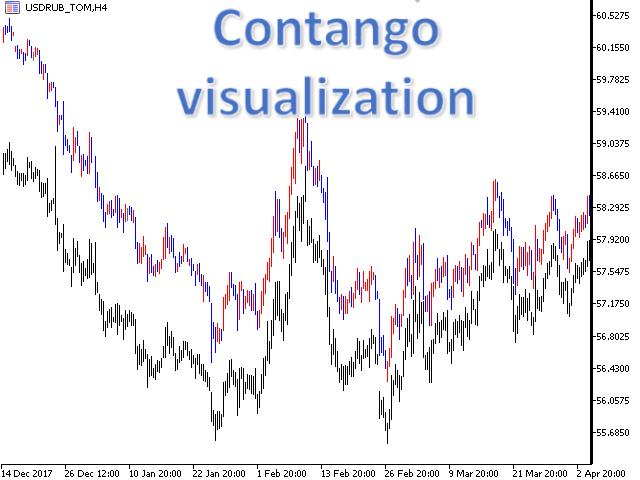 Recalculation of bar prices: multiplication, offset, inversion (can draw a USDEUR chart). 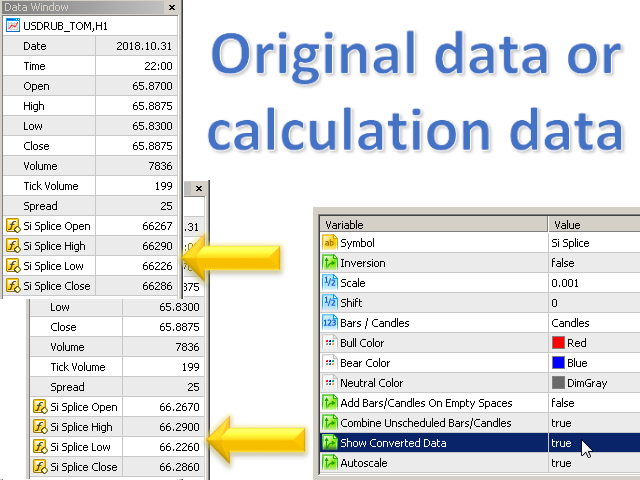 The data window displays the OHLC of the added symbol. Switches by parameter: source data or recalculated data. Automatically scaling the chart vertically to show all the added symbols. If several symbols are added, then the scale is adjusted for all of them (switches by parameter). The autoscale feature is not working in tester. 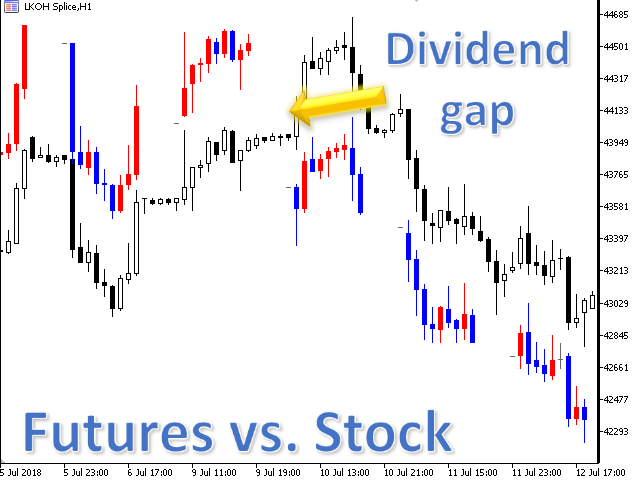 The added symbol is updated, even when no trading on the chart symbol. 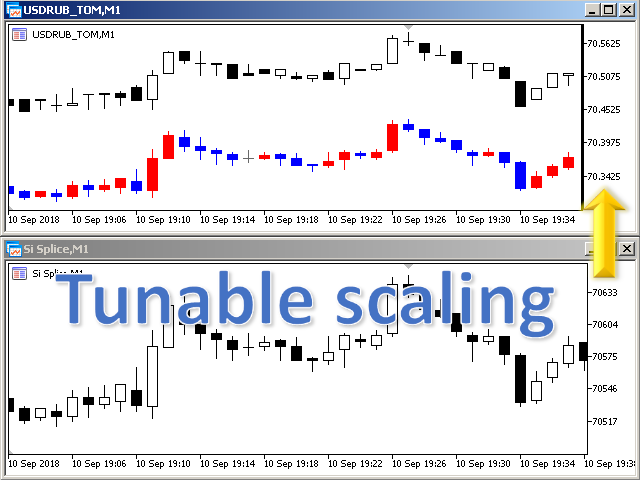 Settings for recalculation of the price of the added symbol in the price of the main chart. 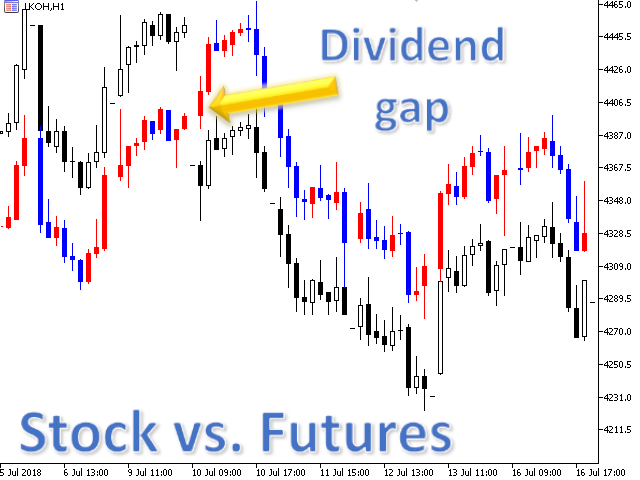 The price is recalculated as follows. The mapping without conversion is set as follows. Setted to "no conversion" by defaults. 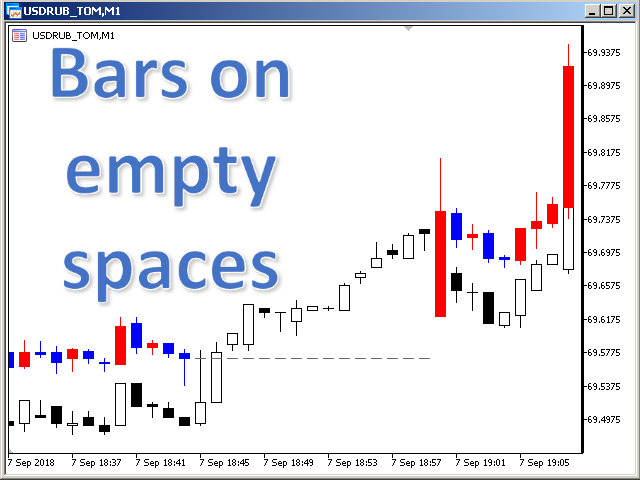 true - at place where the added symbol did not have bars, a flat bar at the price of the previous close will be shown. false - the bar will not be showed. High and Low will be equal, respectively, to the highest High and lowest Low of these bars. false - only the bar with the matching time will be shown, the rest will not be shown. false - the data window will shows OHLC prices on the added symbol without recalculation. true - will show recalculated OHLC prices. 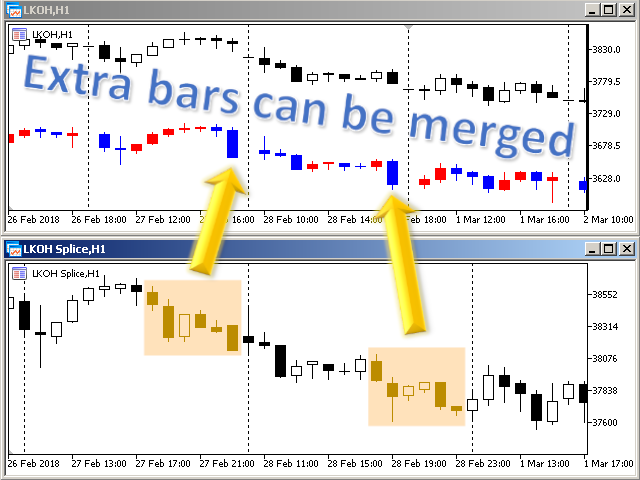 true - the vertical scale of the chart will be automatically selected so all the bars of all added symbols are showed. false - the vertical scale does not change.